A pioneer of Chicano rock, Rubén Funkahuatl Guevara performed with Frank Zappa, Johnny Otis, Bo Diddley, Tina Turner, and Celia Cruz, though he is best known as the front man of the 1970s experimental rock band Ruben And The Jets. Here he recounts how his youthful experiences in the barrio La Veinte of Santa Monica in the 1940s prepared him for early success in music and how his triumphs and seductive brushes with stardom were met with tragedy and crushing disappointments. 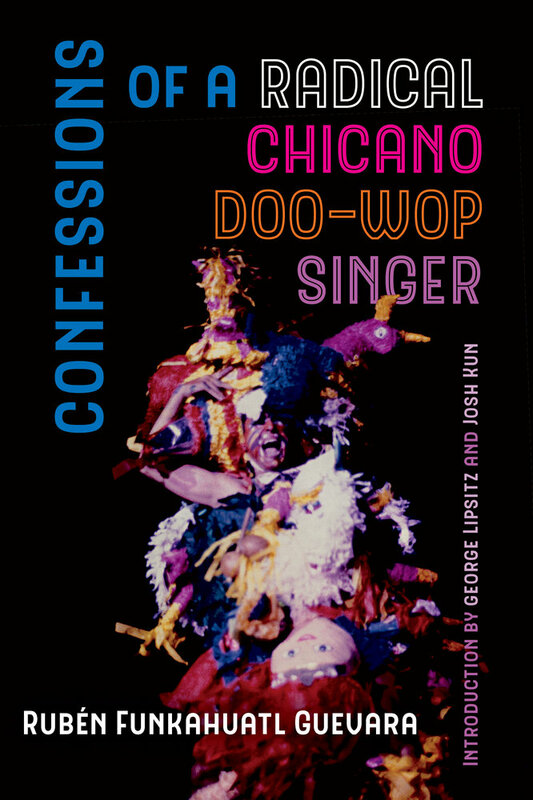 Brutally honest and open, Confessions of a Radical Chicano Doo-Wop Singer is an often hilarious and self-critical look inside the struggle of becoming an artist and a man. Recognizing racial identity as composite, contested, and complex, Guevara—an American artist of Mexican descent—embraces a Chicano identity of his own design, calling himself a Chicano “culture sculptor” who has worked to transform the aspirations, alienations, and indignities of the Mexican American people into an aesthetic experience that could point the way to liberation. The Present-Day Pachuco Refuses to Die! Rubén Funkahuatl Guevara is a native Angelino Chicano musician, singer, and songwriter with Ruben And The Jets (cofounded with Frank Zappa), Con Safos, and the Eastside Luvers; a record producer of Chicano rock and rock en español compilations; and a performance artist, poet, short story writer, historian, journalist, and activist. “A man sings and in his singing he carries the grace, pains, missteps, and triumphs of his life. Guevara’s memoir is such a song—de aquellas y beyond. A con safos defiance against systemic injustices and erasures of Chicanos and all oppressed people, Guevara’s book is also flesh and bone, blood and brains, beauty and truth. Sing on, brother, sing on.”—Luis J. Rodriguez, author of Always Running: La Vida Loca—Gang Days in L.A.